Issues involving children are, by their nature, very complicated. Parents, guardians, and lawyers potentially need to consider safety, visitation, background checks, parental rights, child support payments, and most importantly, the child’s best interests all at once. Settling issues of child custody and adoption can seem daunting, but with the right attorney, the processes look much more manageable. Time can be of the essence, especially in custody cases, so please don’t hesitate to call (919)-335-5291 to speak to a member of our family law team for a free consultation. We’re here to listen to your individual case and needs so that you have no reason to worry. 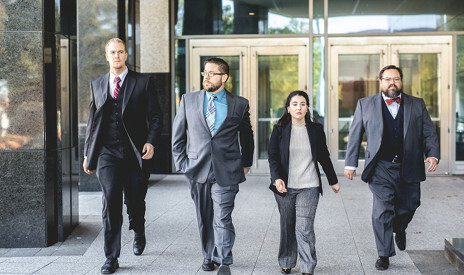 No matter what your situation is, we will give you prompt attention, regular updates, and clear explanations regarding developments in your case. Call us anytime at (919)-335-5291 for a FREE CONSULTATION with a lawyer. *Free consultations are limited to 30 minutes. Any time after that will be billed in tenths of the hour at the attorney’s hourly rate.